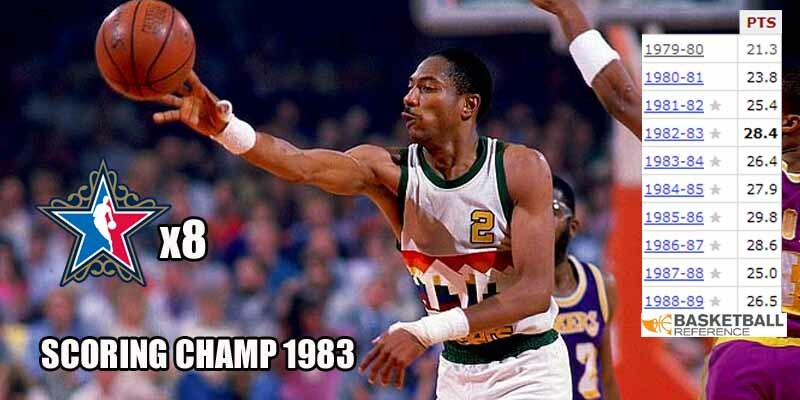 Alex English is commonly believed to be the greatest Denver Nugget that ever played, but he was still very underrated at the league-wide level. He was one of the greatest pure scorers of the 1980s, winning the scoring title in the 1982-83 season, where the 8-time All-Star averaged 28.4 PPG. His best season, however, was 1985-86, where he recorded 29.8 PPG at a very efficient 50.4%. Even though he was only drafted in the 2nd round in 1976, his career scoring averages are very close to Larry Bird, but unfortunately the lack of rings put him in the shadow of The Legend, Magic and Jordan.